Remove the ends of two eggplants and slice in half lengthwise. 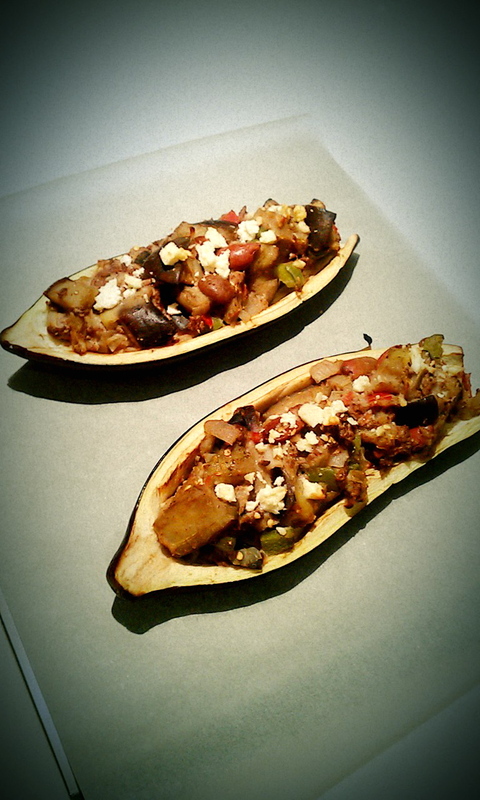 Carefully scoop out the centers of the eggplants, leaving a half-inch shell so they resemble canoes. Cut the center portion into small pieces, and set aside. Cut the skin off of the third eggplant and discard. Dice the remaining portion of eggplant and join with the rest. In a large skillet brown the ground beef over medium heat. Add the onions and garlic, and sauté for a few minutes, until tender. Drain the grease before adding the eggplant pieces. 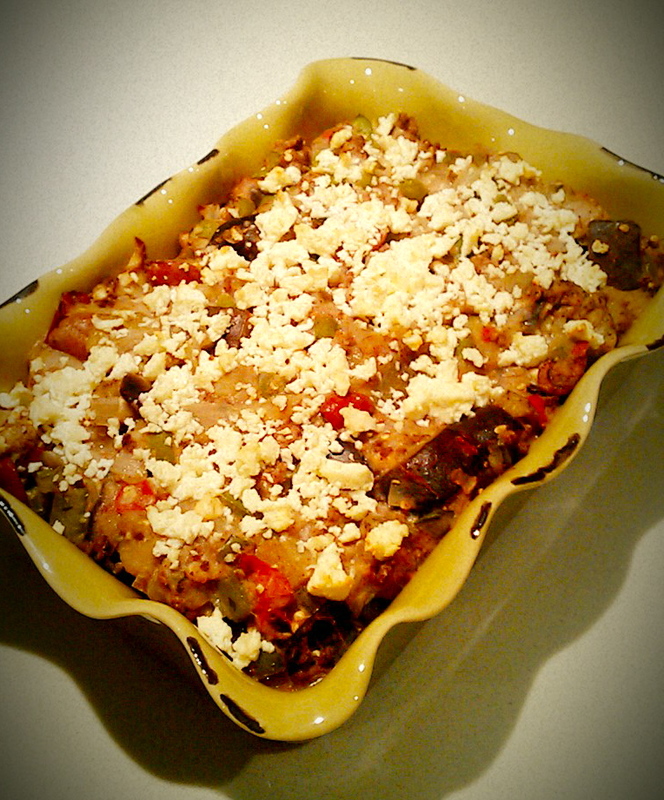 Cook until soft, about 5 minutes, adding water as needed to moisten the eggplant. Then, stir in the tomato, green pepper, and parsley. Simmer for about 10 minutes. Remove from the heat, and transfer to a large bowl. Stir in the olives, artichoke hearts, breadcrumbs and one cup of the feta until evenly blended. Divide the mixture evenly between the four eggplant shells. 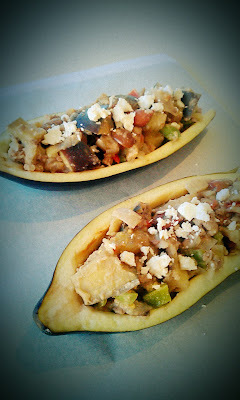 Sprinkle the remaining feta over the top of each stuffed eggplant. 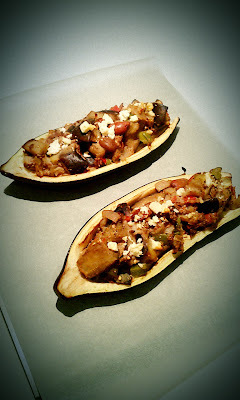 Place the eggplant halves on a baking sheet. Bake for 15 to 20 minutes in the preheated oven, until the tops are browned and the cheese is melted. throw the mixture into a baking dish.